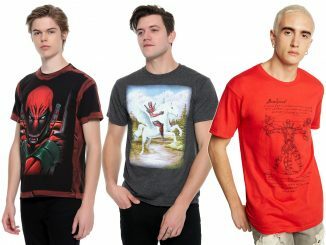 This Valentine’s Star Wars Boba Fett Search the Galaxy Women’s T-Shirt is $23.99 at SuperHeroStuff. 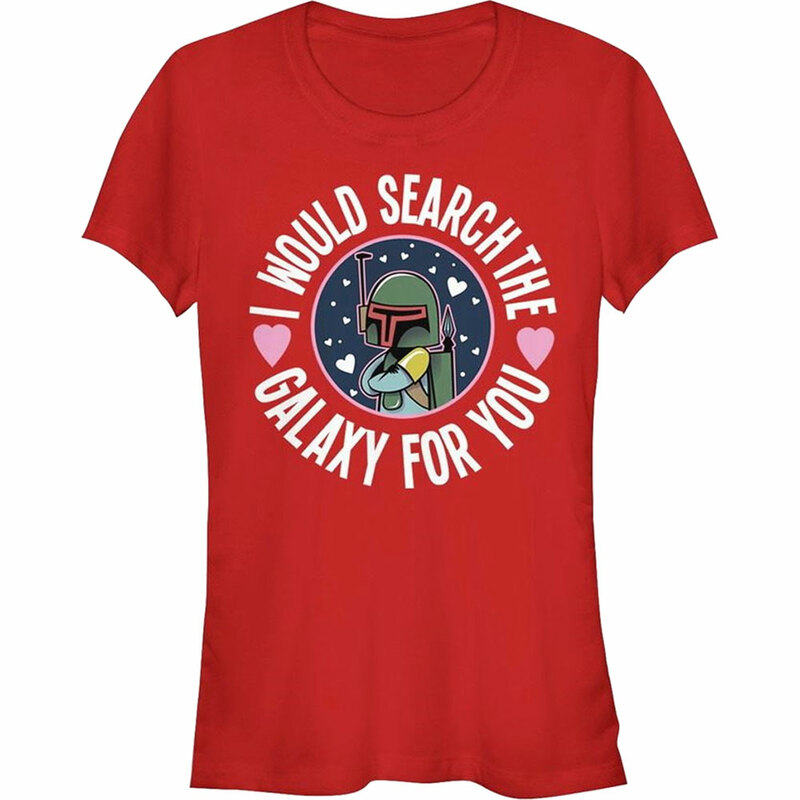 Also available as a Men’s Sweatshirt. 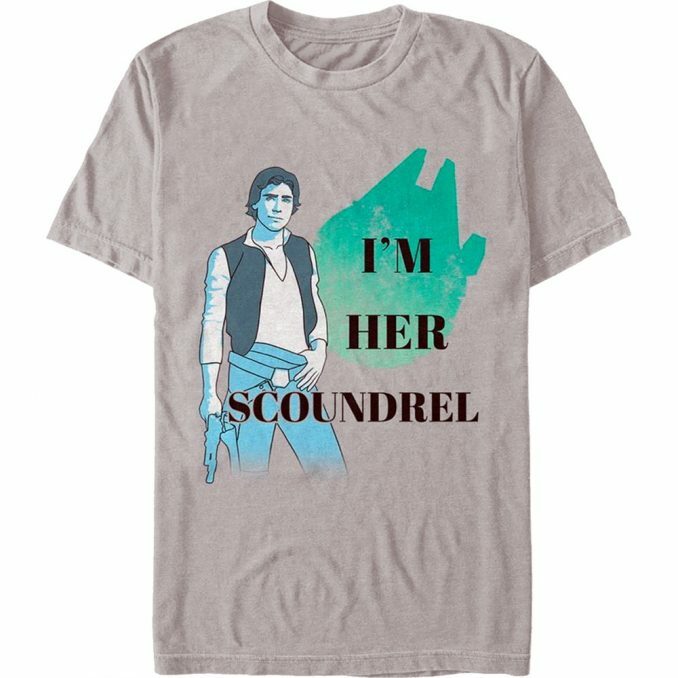 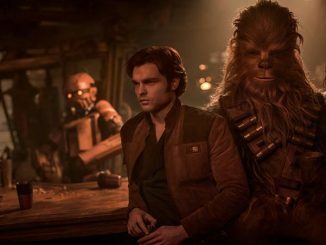 This Star Wars Valentine Han Solo Your Scoundrel Men’s T-Shirt is $21.99 at SuperHeroStuff. 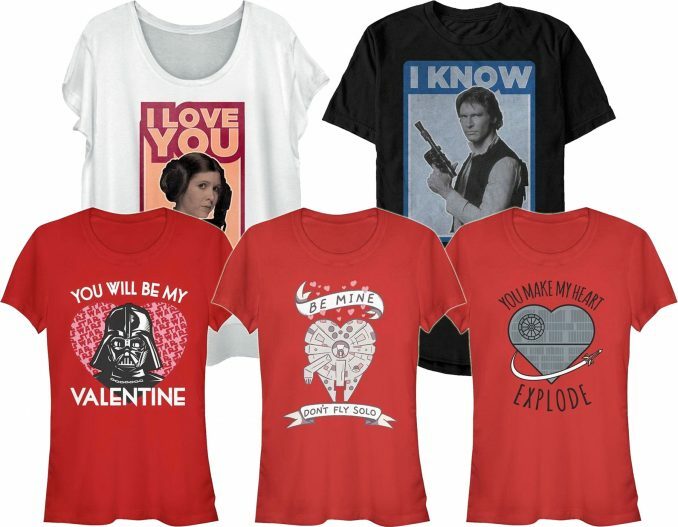 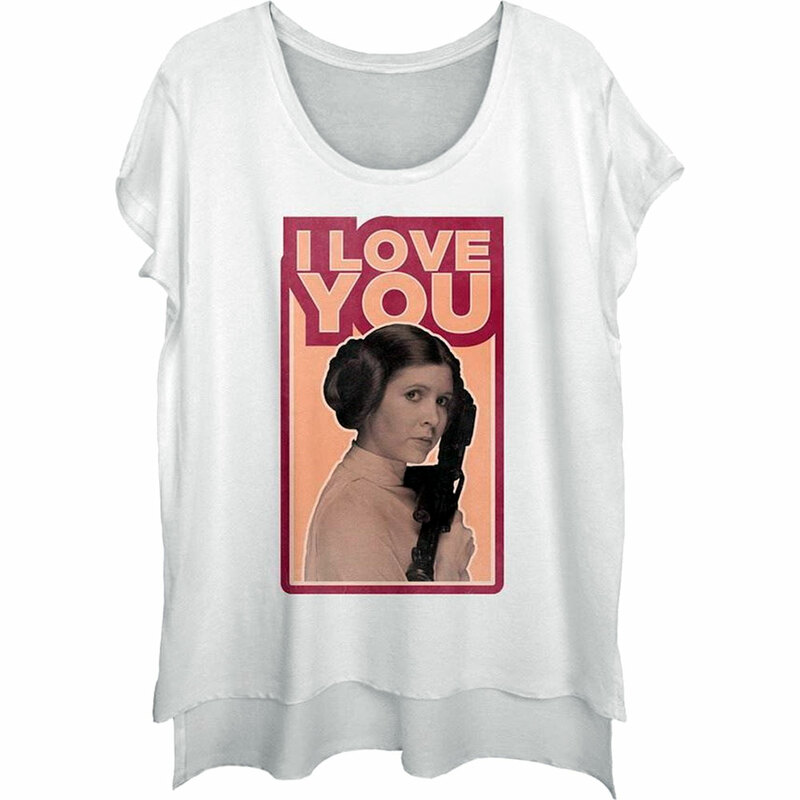 Order this Valentine’s Day Star Wars Princess Leia Quote I Love You Women’s Festival Scoop Neck T-Shirt for $24.99 at SuperHeroStuff. 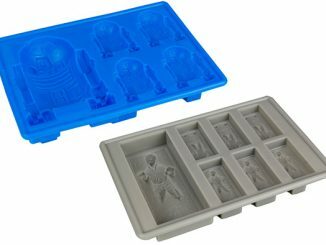 Also available as a Women’s Tank Top. 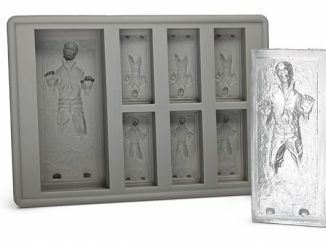 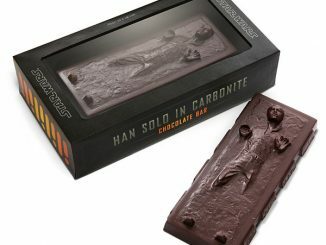 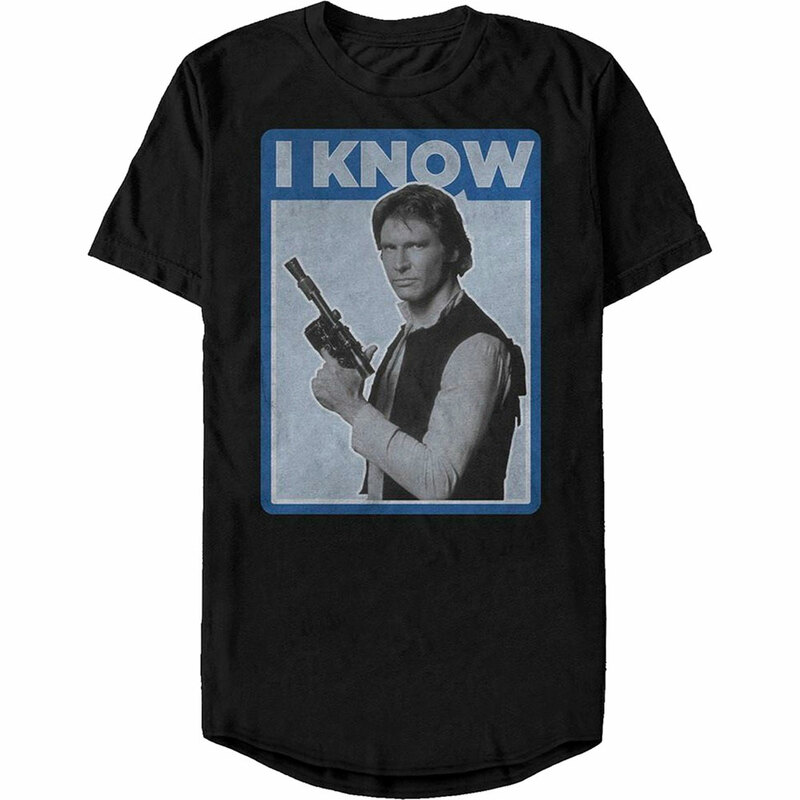 Available from SuperHeroStuff, this Valentine’s Day Star Wars Han Solo Quote I Know Men’s T-Shirt is $21.99. 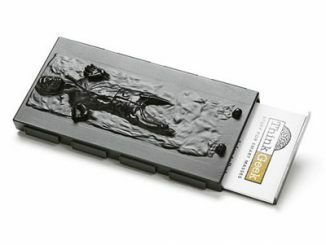 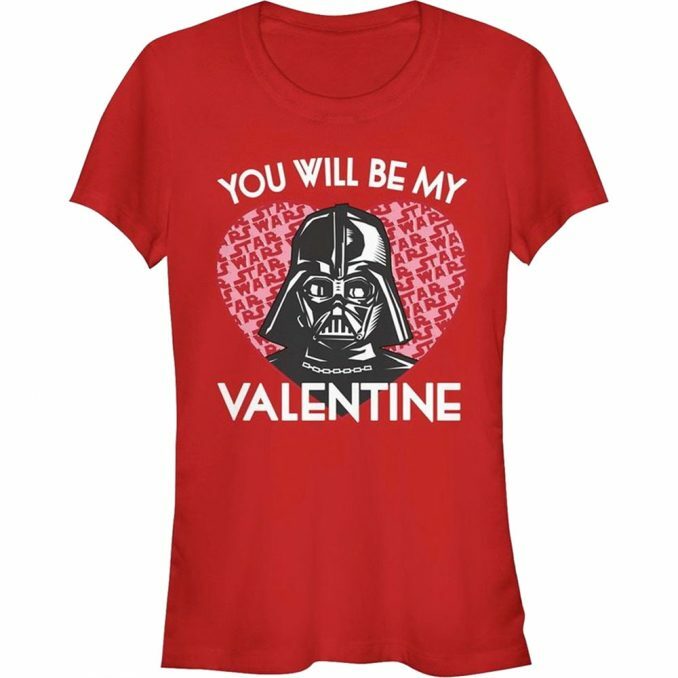 This Valentine’s Star Wars Darth Vader Invitation Women’s T-Shirt is $23.99 at SuperHeroStuff. Also available as a Cowl Neck Women’s Sweatshirt. 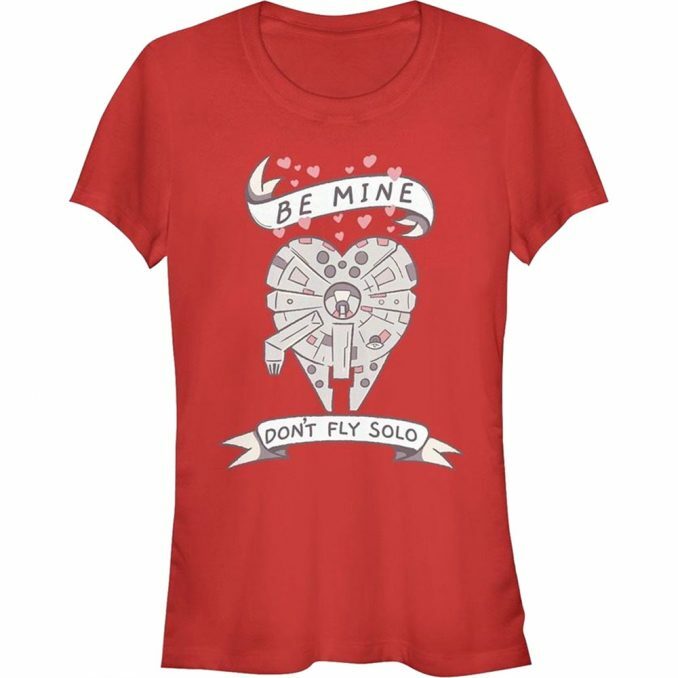 Order this Star Wars Valentine Don’t Fly Solo Women’s T-Shirt for $23.99 at SuperHeroStuff. Also available as a Women’s Tank Top and a Cowl Neck Women’s Sweatshirt. 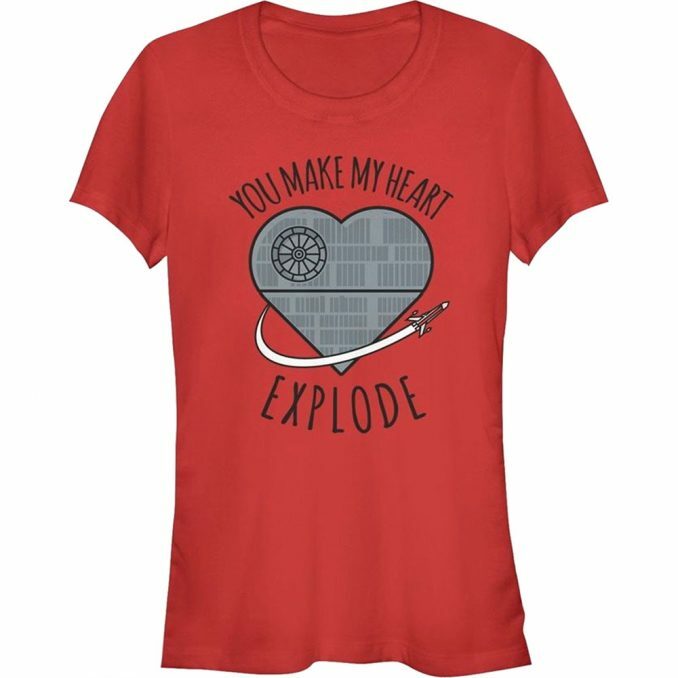 Available at SuperHeroStuff, this Star Wars Valentine Death Star Heart Women’s T-Shirt costs $23.99. 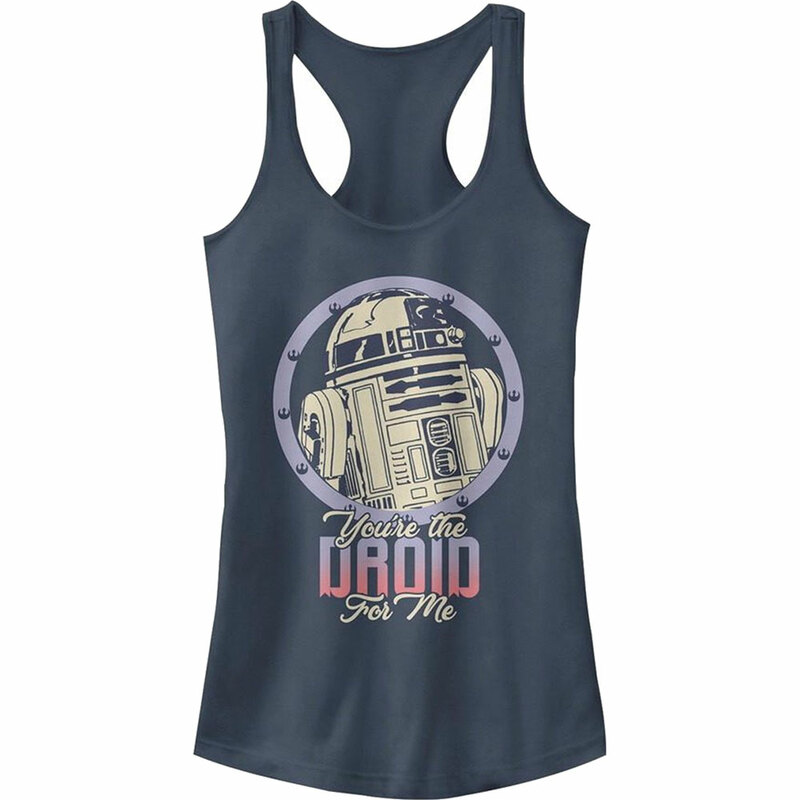 Also available as a Women’s Tank Top and as a Cowl Neck Women’s Sweatshirt. 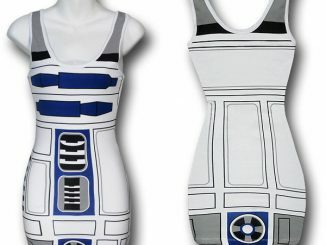 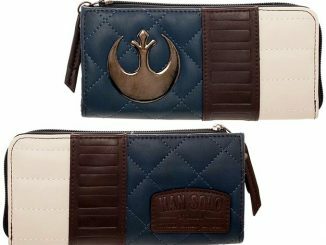 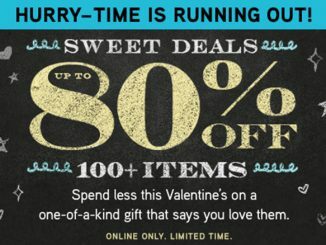 Purchase this Valentine’s Day Star Wars Droid for Me Women’s Tank Top for $21.99 at SuperHeroStuff.